This is a 3.5 ounce can of Spaz Stix "Solid White" Glow Backer Spray Paint. 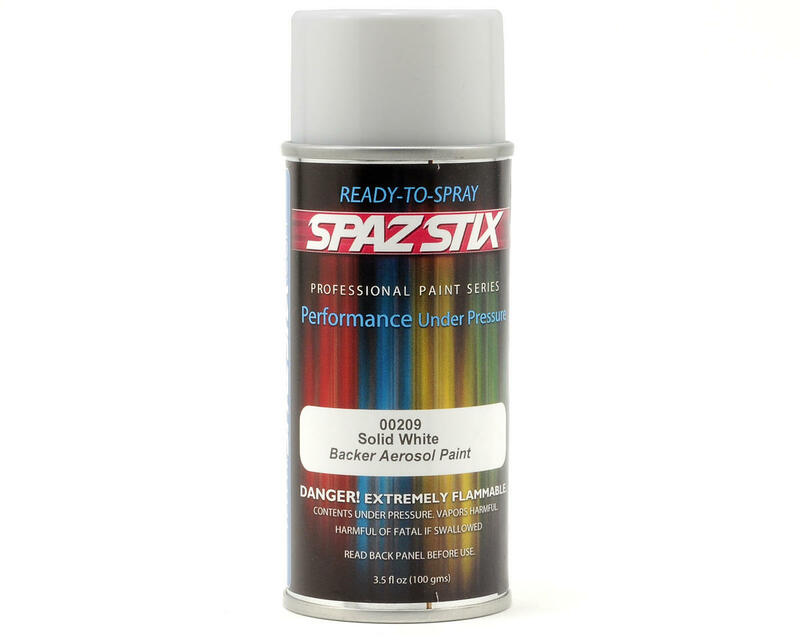 Use this paint to back the Spaz Stix glow in the dark paints. Spaz Stix is the premier brand when it comes to high-end RC Paints... whether your a seasoned PRO or just breaking into the industry you'll find that nothing beats Spaz Stix when it comes to un-surpassed quality and ease of use! Good stuff. Goes on easy and works as advertised. Used with the Spaz Stix's Florescent paints, it looks good. I recommend taking the masks off the windows before painting with this backing paint. Gives the body an interesting look with white windows.